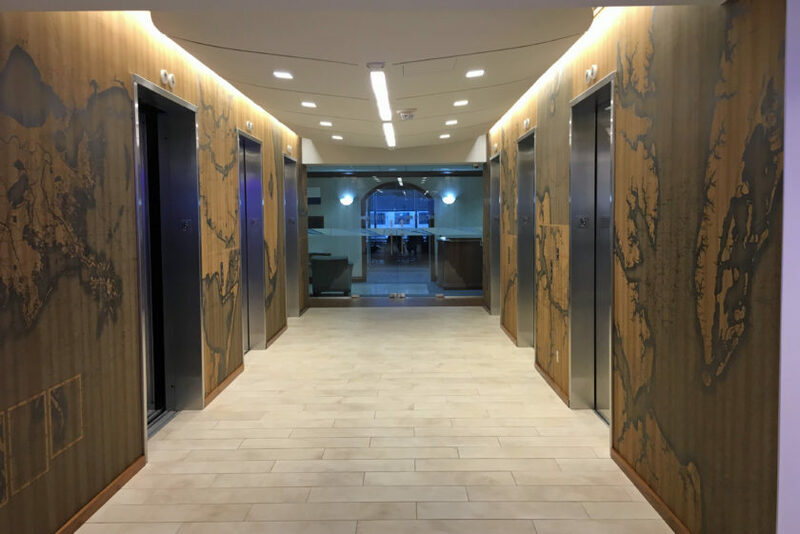 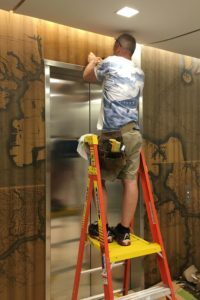 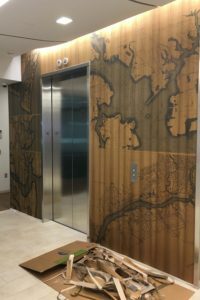 We’ve been waiting for this finishing touch for awhile – the custom, graphic printed teak wood veneer wallcovering – the finishing touch for the T. Parker Host elevator lobby! 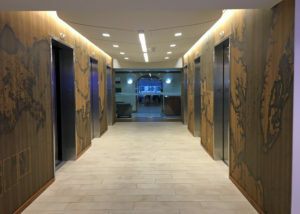 The process was worth the extra time, the walls look amazing! 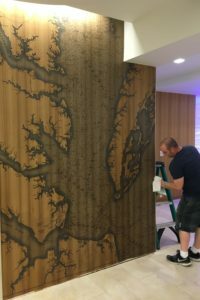 We are so proud of this unique feature envisioned by the Arive design team and completed with the valuable assistance of our client and National Wallcovering. 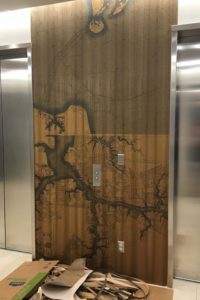 It’s simply superb! 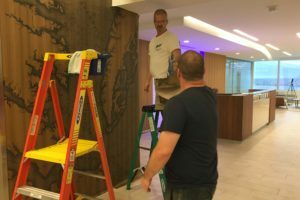 Here is the installation action.